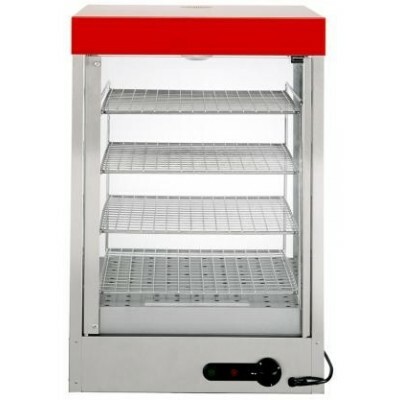 HOT DISPLAY CABINETS There are 32 products. 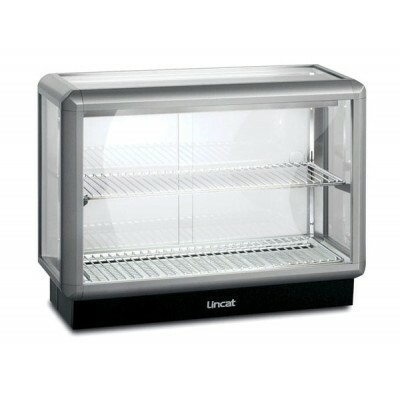 The sleek stylish design means these units fit perfectly into any front-of-house setting. 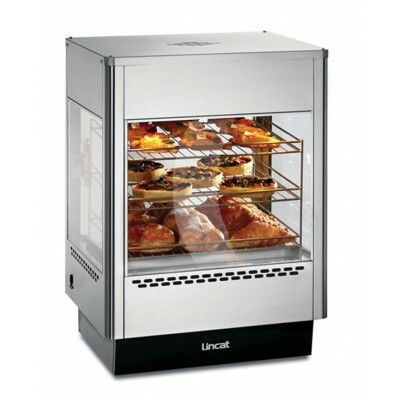 Precise temperature control allows heat to be varied to suit the type of food on display. 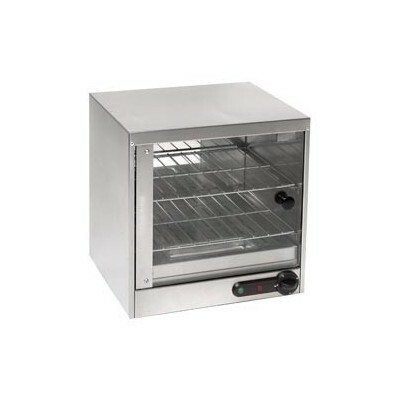 This means delicious hot dishes are always displayed at the correct temperature. 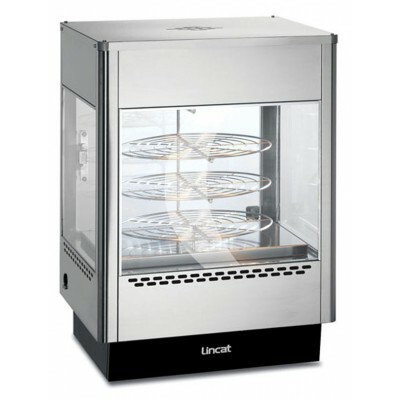 Stainless steel construction with tempered glass. 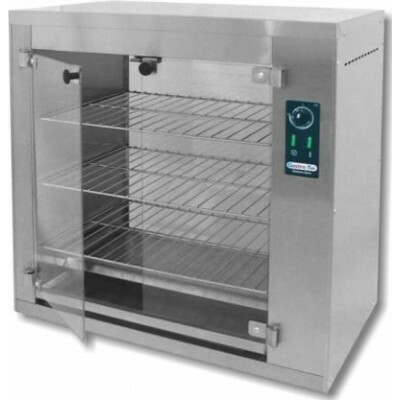 Holding temperature up to 80C. 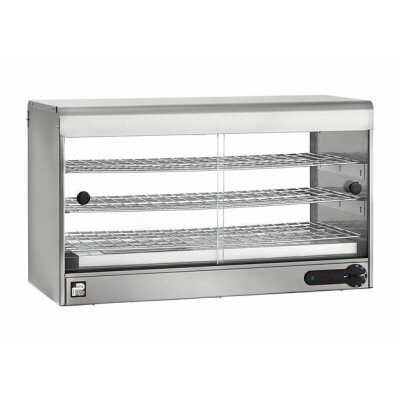 3 shelfs x 12" pizza. 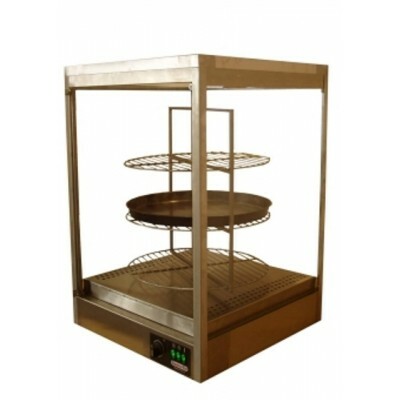 This display cabinet is design as a addition to electric chicken rotisseries for displaying roasted chicken but with generated heat up to 80C, air circulation and hinged doors can be used also for displaying all roasted, baked or fried products. 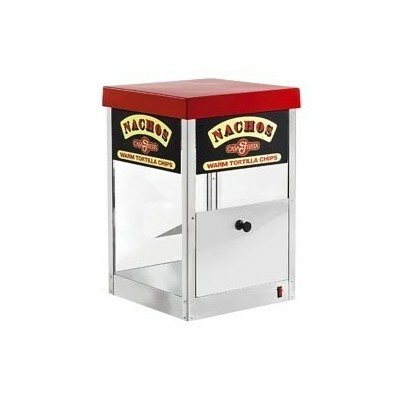 This display cabinet is design to fit 2x1/1GN containers or GN variety. 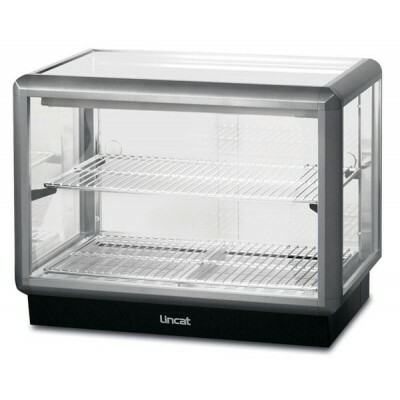 With generated heat up to 80C and sliding doors, additional shelf and lighting can be also used for displaying all cooked solid and liquid products. Max depth of GN container - 60mm. Back and self service. 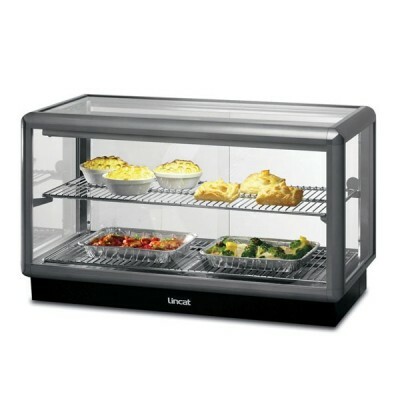 This display cabinet is design to fit 2x1/1GN containers or GN variety. 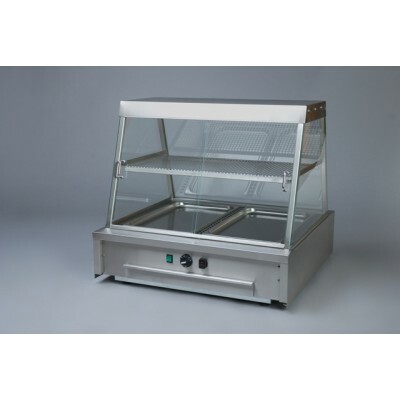 With generated heat up to 80C and sliding doors, additional shelf and lighting can be also used for displaying all cooked solid and liquid products. Max depth of GN container - 60mm. Back service only.